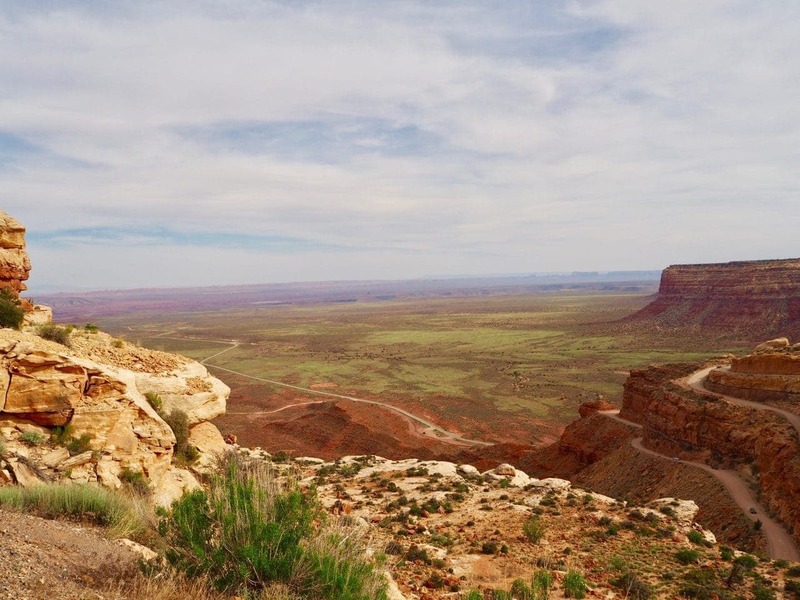 Valley of the Gods and Moki Dugway = Perfection! 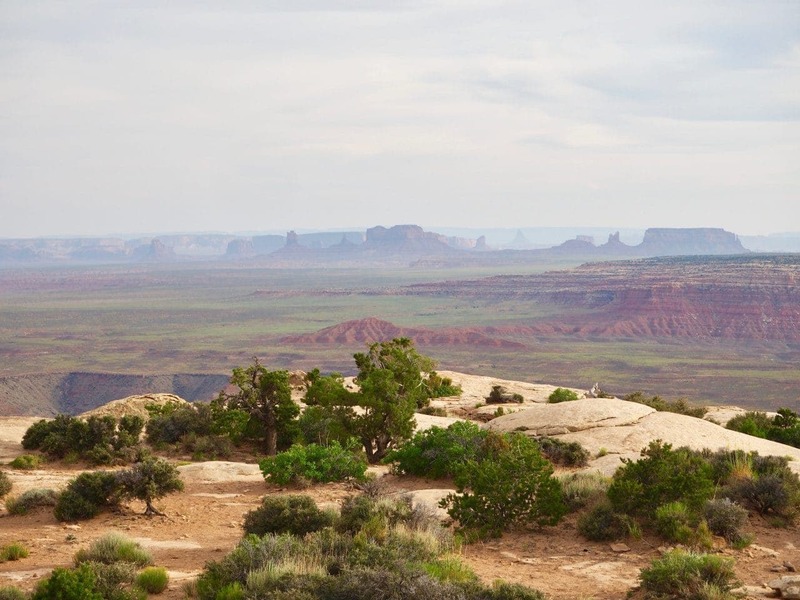 Valley of the Gods and the Moki Dugway… plus dinner with a spectacular view equals my idea of perfection! 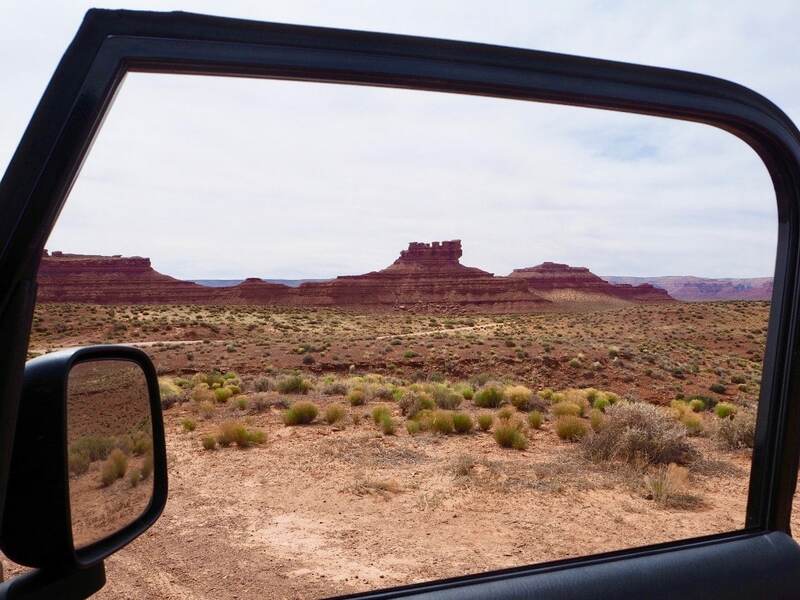 The entire trip has breathtaking views. This was my favorite day even after a month of exploring! Read more to find out why and check out our video at the end of the post. 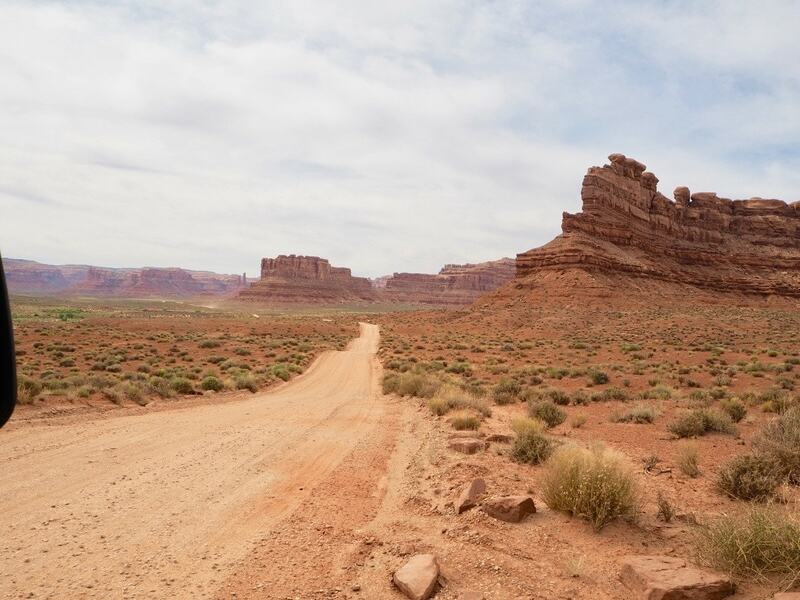 Valley of the Gods is a 17 mile loop road that features a number of monoliths, large single upright blocks of stone. 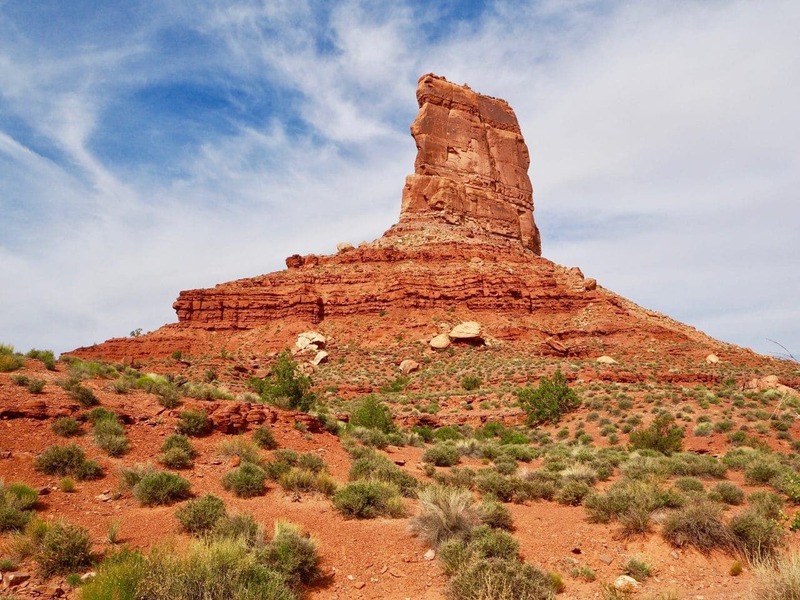 The geological features are similar to Monument Valley and some even call it Miniature Monument Valley. 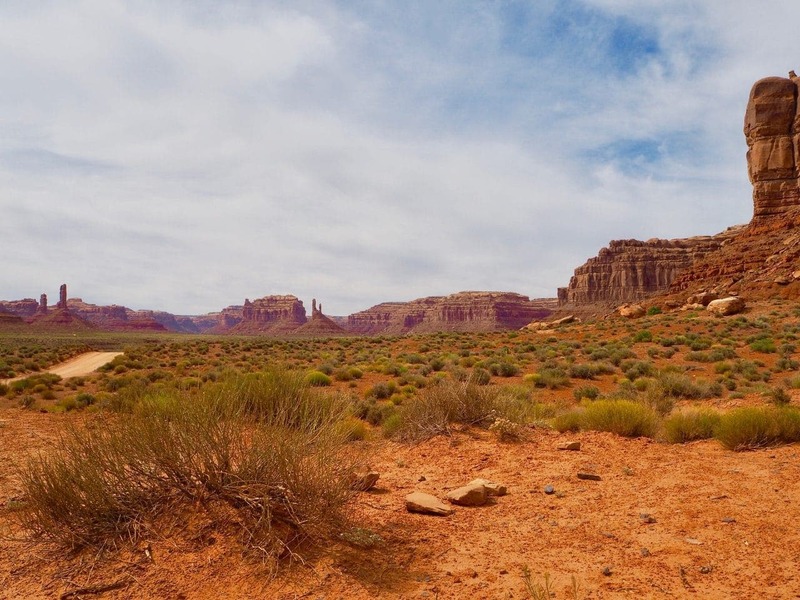 Rock buttes are contrasted by the open space of the area, this creates a grandness that is beautiful and inspiring. 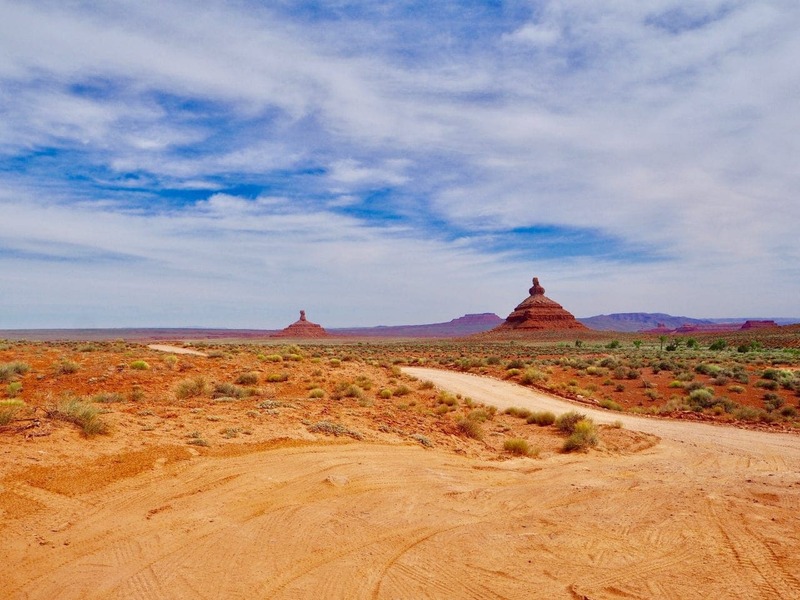 We entered at the east entrance on Highway 163, about 15 miles west of Bluff, Utah. The road is gravel and clay therefore passenger vehicles are suitable for the road during dry conditions. 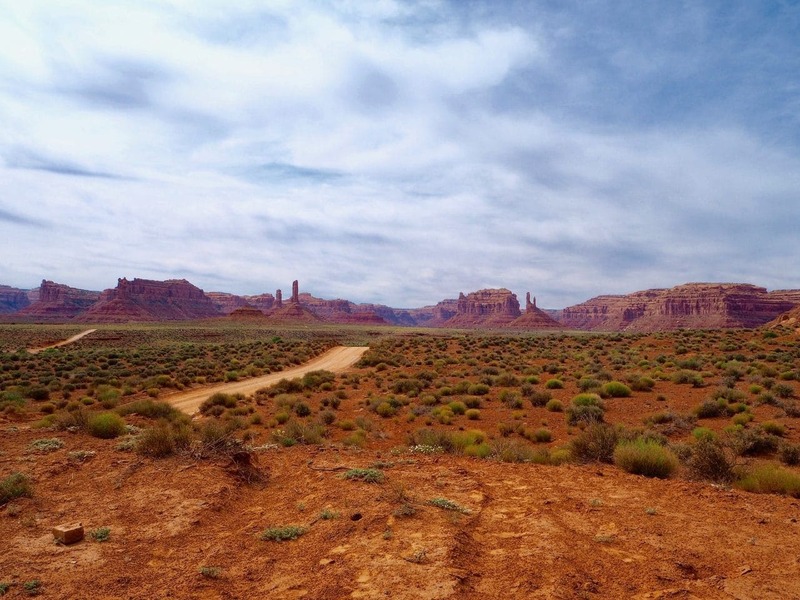 However, it is advised to get a local opinion after inclement weather since water may wash out parts the road or make it muddy and unaccessible by car. 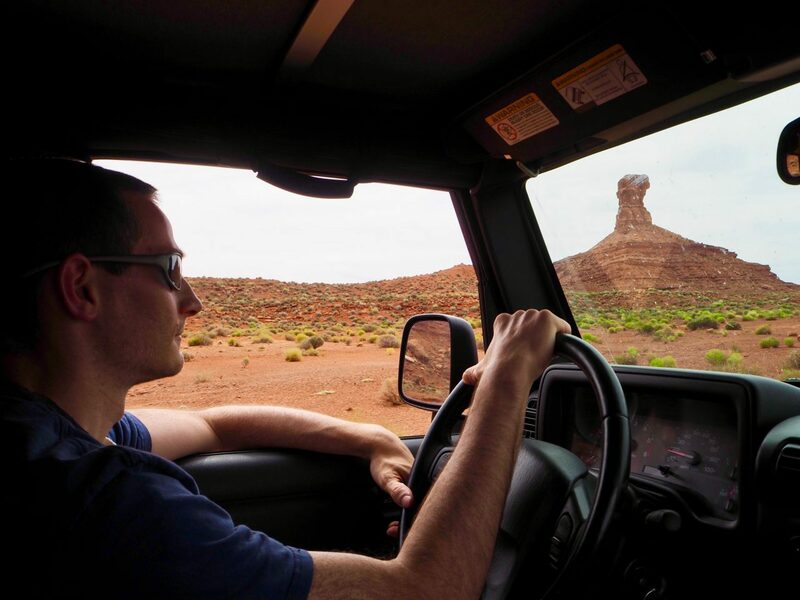 Our jeep was a great vehicle for the drive since we were experiencing dry conditions. 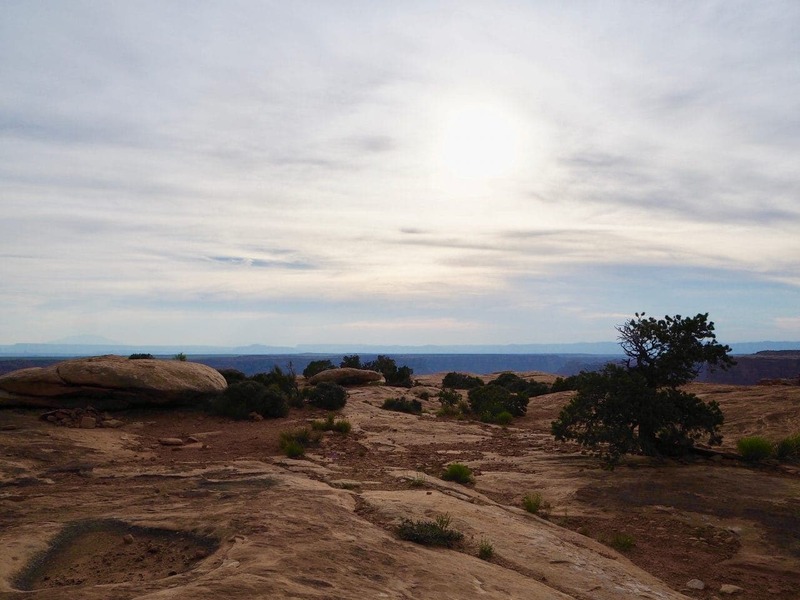 The formations are all sculpted from Cedar Mesa sandstone. They date back to the Permian age, 250 million years old. Erosion by water, wind and ice over millions of years has carved these formations into the unique shapes we see today. These formations are identifiable by names like Seven Sailors and Lady in a Tub. You will need a map for the names of the structures since they are not labeled by signs along the drive. 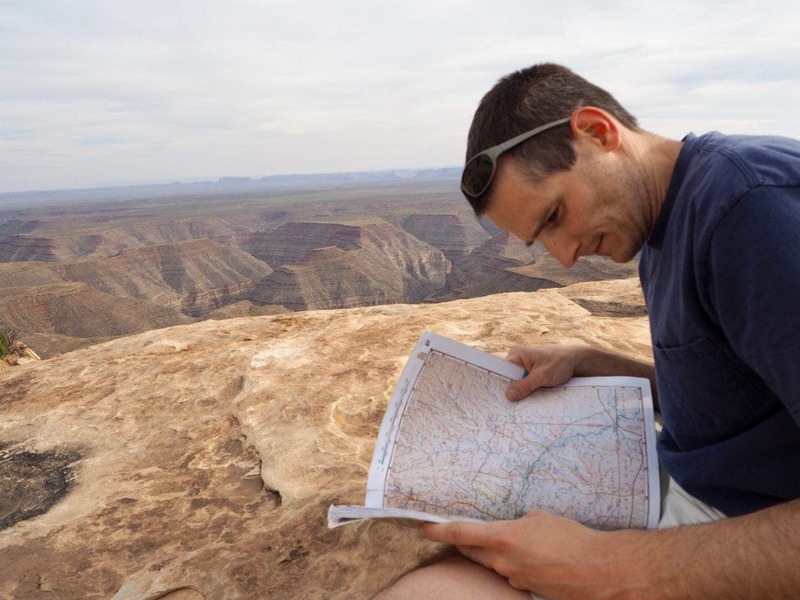 Nearby visitor centers or online resources will have maps. A fun suggestion is that you come up with names on your own. Driving the dirt road out in the middle of nowhere is unreal! We spent about 2 hours driving the loop, stopping often to look around and take pictures. There was only one other passing vehicle the entire time so we basically had the place to ourselves! The sky looked amazing that day, a beautiful blue. Super impressive! 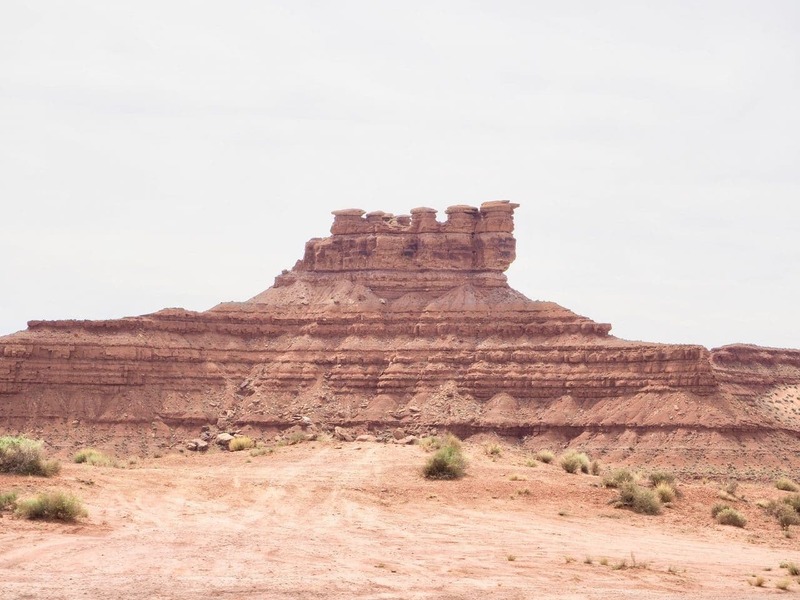 After completing the loop from Valley of the Gods, the road leads you to Highway 261, which is at the base of the Moki Dugway. This is a series of switchbacks that gains 1200 feet at an 11% grade. 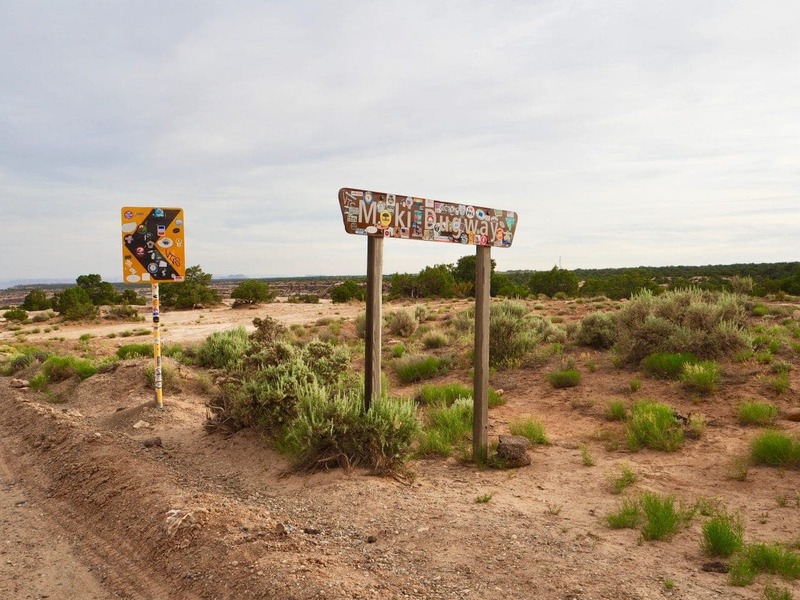 The three mile drive is unpaved, but suitable for most vehicles. 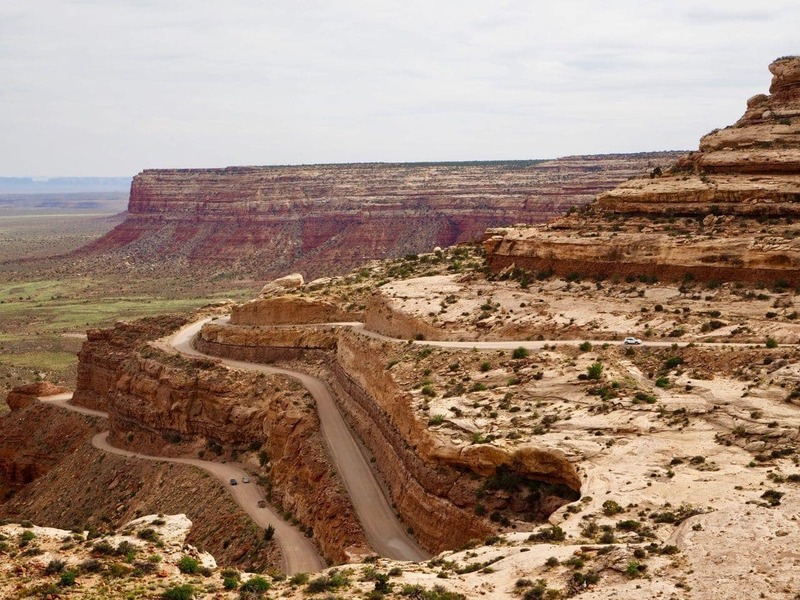 It’s known as one of Utah’s most dangerous roads so be sure to safely pull off the road at the viewpoints. You will want to stop serval times for fantastic photo opportunities. Peaceful is the first word that comes to mind. 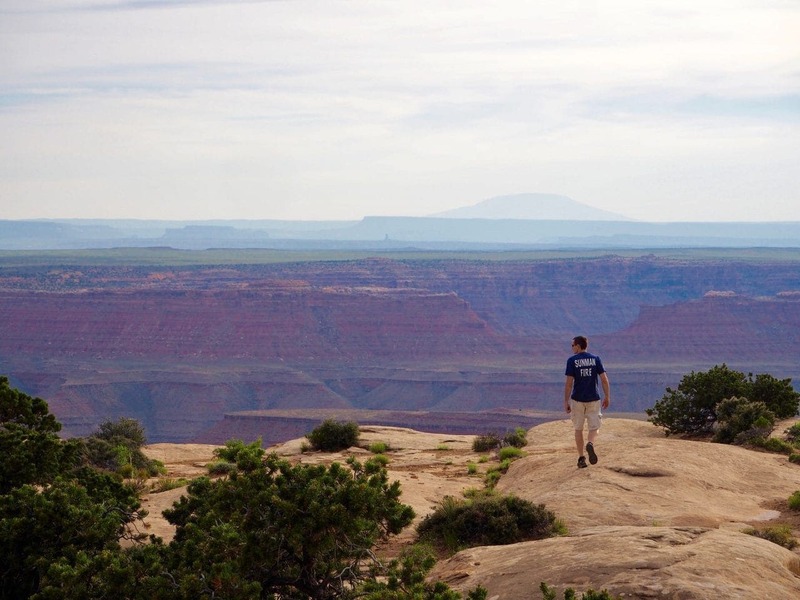 I kept feeling like there were no words to describe the beauty of looking out over the landscape. The colors are incredible; greens, reds, dark oranges. Rock, shrubbery, formations, this place has it all. After dinner we talked about how amazing this evening had been and we were just getting started on this month-long trip!